Travel Agency Software, the online reservation software that helps travelers to book hotels and flights from the online booking system. The cloud-based software not only helps travelers for booking their commute but also helps travel agencies and affiliates to maintain and manage the users, agents, and sub-agents. The software has a wide variety of offerings that includes B2C, i.e; only for end users to search and book travel online. B2B, the agents portal, from where sub-agents can log in and book for their users. B2B2C, the white label solution that helps sub-agents to create their own website and do the booking for their users. 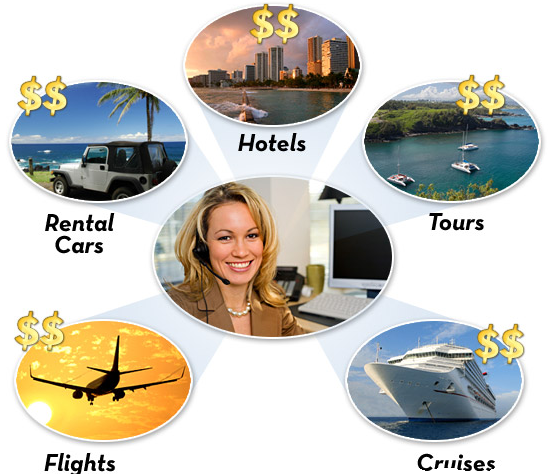 Quick Travel Affiliate, our comprehensive solution can make a difference in the online presence of travel agencies and travel enthusiast who wanted to enter the online travel market. The travel industry is now $8.1 trillion dollar industry and still expanding every single year. Apparently, the only prime solution that can help traditional travel agencies to sustain is to create an online presence. Our solution is flexible enough to accumulate multiple travel services under one roof for users and agents to book hotels, flights and tours and packages.